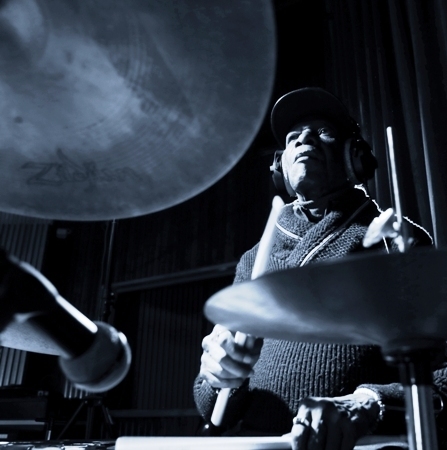 Described by Brian Eno as "perhaps the greatest drummer who has ever lived", the legendary Tony Allen returns to his jazz roots for a very special performance at Warwick Arts Centre in Coventry on February 8 2018. 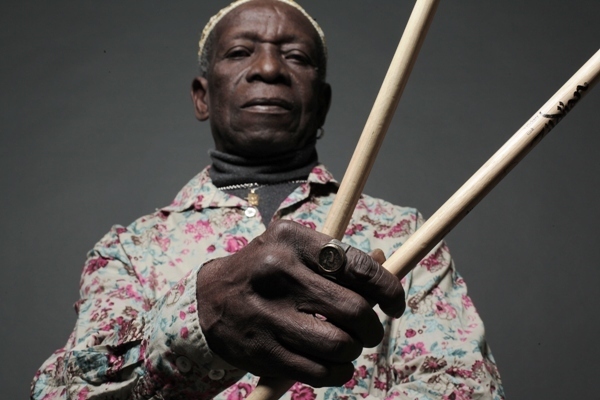 One of the founding fathers of Afrobeat, the 77-year-old's drumming style has influenced generations of musicians over the past 50 years. For the Warwick Arts Centre gig, the giant of modern music is joined by Nubiyan Twist as support act, creating a unique, infectious sound in an eclectic mix of styles, drawing on jazz, hip-hop, afrobeat, latin, soul, reggae and dance music. 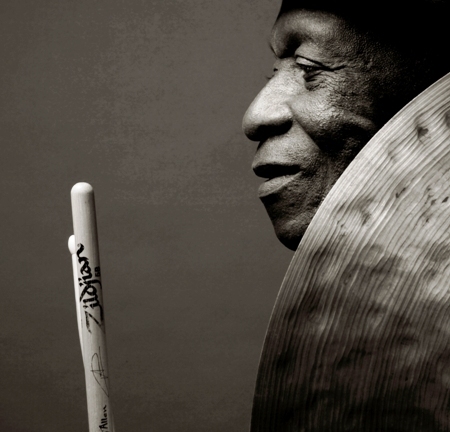 Born in Nigeria, Tony was an original member of Fela Kuti's Africa 70 and the inventor of the distinctive Afrobeat drum rhythm. On leaving Africa 70, Tony went on to collaborate with such artists as Charlotte Gainsbourg, Jimi Tenor, Sébastien Tellier, guitarist Ernest Ranglin, King Sunny Adé, Ginger Baker and, notably, Damon Albarn of Blur and Gorillaz fame. His creative collaboration with Damon began when the singer namechecked Tony on Blur's 2000 single Music Is My Radar, the song ending with Damon repeating the phrase "Tony Allen got me dancing." Since then, Damon has worked on several of Tony's albums (including 2017's The Source), while Tony was a core member of Damon's 'supergroups' The Good, The Bad and The Queen (with members of The Verve and The Clash), and Rocket Juice and The Moon (with Red Hot Chili Peppers' Flea). Damon also worked with Tony on the single Go Back in 2014. Now signed to Blue Note (arguably the greatest jazz label of all time), Tony has followed his four-track A Tribute to Art Blakey and the Jazz Messengers EP with The Source, a set of original instrumentals co-written with saxophonist Yann Jankielewicz and inspired by Tony's early jazz influences such as Lester Bowie, Charles Mingus, Art Blakey and Gil Evans. Last year he collaborated with Malian singer Oumou Sangaré on the track Yere faga from her album Mogoya. Tickets for the Warwick Arts Centre show are priced £29.50 and £24.50.